Generate a pdf for your tickets. Open those tickets in a pdf. 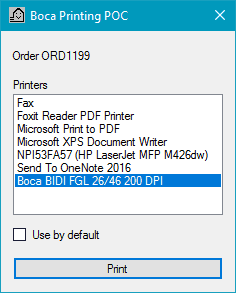 Select the required Boca printer. Send the tickets through the system menu to the printer. Clear, but not very straightforward process, right? It doesn’t have to be this way. 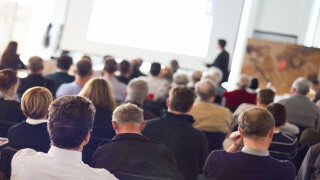 Many ticketing services vendors have inquired how to eliminate the extra step process. As well as eliminate issues in detecting printer errors on Windows or MACs (out of paper, not turned on, etc), and occasional issues when connecting to a network printer. After multiple requests on how to streamline ticket printing, a new app has been born. All that a ticketing vendor needs to do is to install the Softjourn Boca printing app and call the API from the print page, but this is a one-time, quick install and one-time integration. The solution we created does not have the 5 extra steps between “Select ticket” and “Print” mentioned above. The app menu is very simple and has 3 basic items: “Select printer”, “Settings” and “Exit”. When the user presses “Select printer” he may choose one default printer or set it so that the box office user can select a different printer each time and then a print button will send tickets directly to the printer. The user doesn't have to do anything in between the ticket file and the printer. If the option “Select on each print” is chosen, the user can choose among available printers and then press the “Print” button. In addition, the application can detect errors or status messages like “Out of paper” or “The printer is offline”. An an option the user can print a test ticket if needed to see how the tickets will look like. The app can also make a call back to the server with information saying the tickets were printed successfully. Convenient and simplified process is the key goal that we pursued and it seems like we reached it. Here's a brief demo of how the app works! Get in touch with Softjourn to test it, after a 30-minute call we'll share with you more documentation. Ready to test the app and see how it works? We'd be happy to share a demo app you can play with and we’d be interested in hearing your feedback on the apps, how they are to use, if you think there is something missing, etc. Contact us to request demo app files! It only takes one click to print thermal tickets. Ability to easily choose local or network printer as a default or select a different printer each time. Notification that the tickets were printed successfully or if any issues occurred (out of paper, printer is offline). 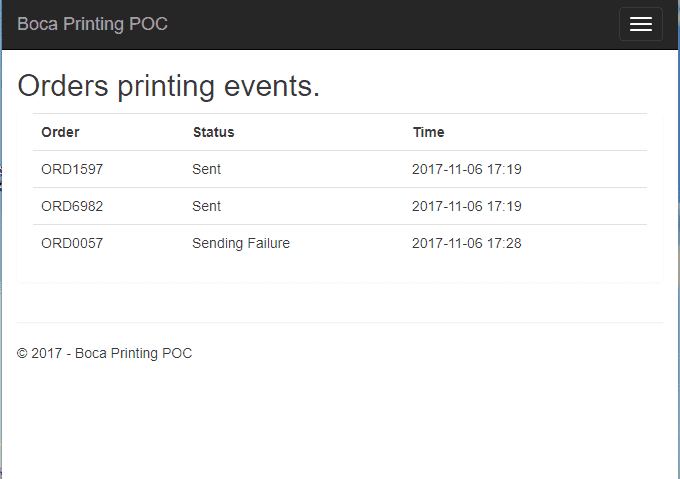 Ability to send “a test ticket” to the printer.